1) Slots are now the most popular range of games. The first slot machine, called the Liberty Bell, was invented by Charles Fey in San Francisco during the 1890s. This game had spinning reels and payouts were based on poker hands. The development of slots machines was slow, until the 1960s when automatic payouts became possible, and the 1990s when the first games with bonus rounds were introduced. Slots are so widely played as they are very easy to learn, with the user simply having to click a button to spin the reels. But players can also choose to enjoy games with bonus rounds that take some skill to beat. Some lucky players also get to win millions in progressive jackpot prizes, but even the most basic machines will still reward a winning spin with prize money. 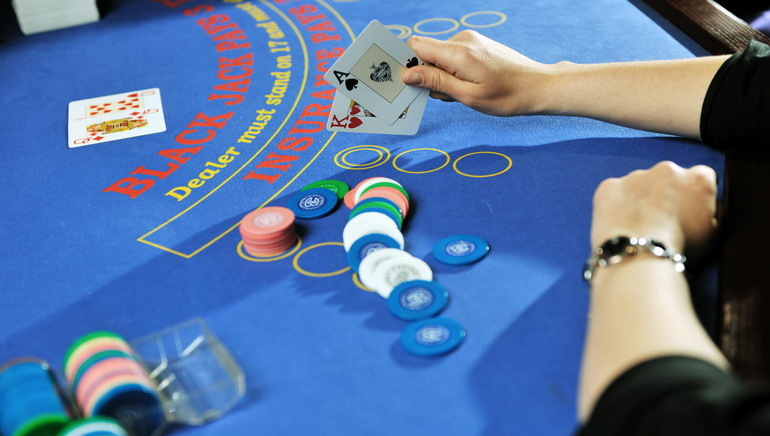 2) The second most popular game is Poker, which can trace its' origins back to ancient China and Persia. It was popularised in France in the 1700's and brought to the New World by French immigrants. Texas Holdem is now the most widely played version, and this was invented early in the 20th Century, although it wasn't until the Dune Casino in Las Vegas held a Holdem tournament that it really caught on. The appeal of Poker is the fact that it's a game of skill, where players compete against each other for a prize pot. Single player version like Caribbean Stud can be played at online casinos. 3) Next comes Roulette, another game with a long history. It's thought that Roman soldiers used to fire arrows into a rotating shield to win money, but the game as we know it is another example of one invented in France, and brought to America where it grew in popularity, especially in California during the Gold Rush. With an infinite number of betting options, Roulette players can win 35x their stake on single number bets, play it safe with several Even money wagers, or place combination bets that cover most of the numbers. Part of the excitement in this game comes from watching the ball spin around inside the wheel, and waiting for it to come to a rest. 4) When the game of Vignt-et-Un (21) became popular in American casinos, a side bet was often available which paid out at 10:1 if the players hand consisted of the Ace of Spades and either the Jack of Clubs or Spades - the Black Jacks. Although this bet soon fell out of use, the name stuck and Blackjack has remained one of the biggest games ever since. It's an easy game to play, with just a few options for the player to take, and a well defined Basic Strategy that can significantly reduce the house edge. This can be a fast paced game, where a round only lasts a few seconds, giving skilled players the chance to build their bankroll quickly. 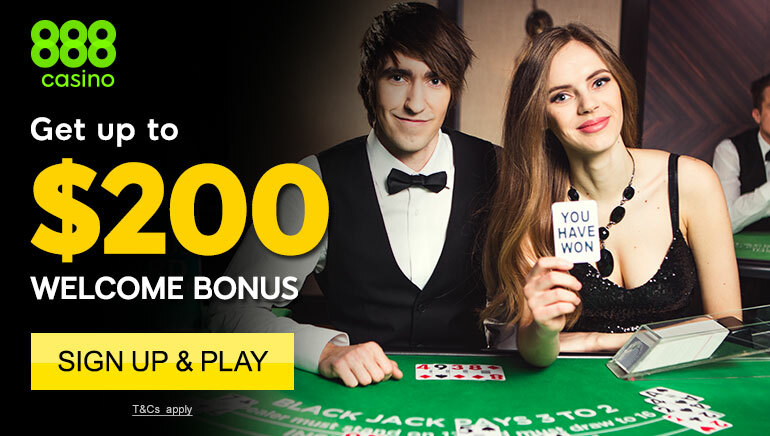 Online casinos now feature many different Blackjack games, such as Multi Hand, Double Attack, and related games like Pontoon. 5) Video Poker obviously doesn't have such a long history, but it has caught up quickly and earns its' place in the list of the top five casino games. Invented by an employee of Bally Technologies by the name of Si Redd, his bosses didn't like his idea, so he went away and developed Video Poker by himself, starting a company that has grown into International Gaming Technologies. This is a simple game to play, where the player just has to decide which of the five cards dealt out to them should be retained, and which discarded. It can be another fast paced game, where following a few simple rules can improve the users chances of getting a winning hand. Good online casinos will feature several version of each of these games, plus of course, lots of slots. Many also provide a 'free play' option, so customers can try them out without having to place any real bets, and this is a good option to choose if you have never played any of these before. All of these casino games should provide hours of entertainment, and if luck is on the player's side, maybe some big wins.